Sleep: Not as bad as you'd think. Wake up for the usual bathroom runs but sleep is where my back feels the best :). Baby Movement: Now I've never had a baby before so I don't know what to compare it to but man this kid likes to move. And sometimes I think he is having a boxing match. 1,2, punch! How are you feeling: Luckily 90% of the nausea from the first trimester is gone but in creeps new things. I have the worst back/rib pain and the only thing that helps is my belly band or lying on my back. I went to a movie a couple of weeks back and I had to get up and stand on the side for part of the movie. Sitting and I aren't friends! 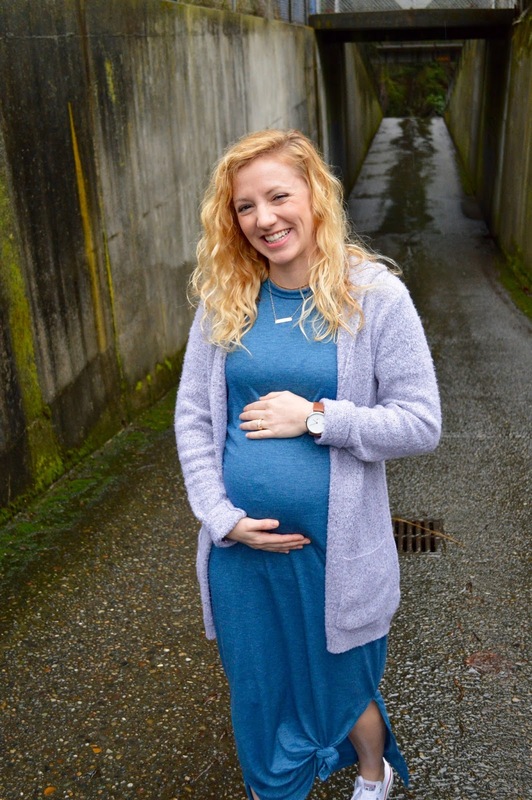 Favorite Maternity Things: Three words - ASOS Maternity Clearance - Cute maternity clothes at a great price! I really drug my feet when it came to buying maternity clothes because I didn't want to buy something I'd wear for a few months and then not again for 2-3 years. But I'm soooo glad I did! Not to mention I got them for such a good deal it wasn't as painful. But specifically, I loved their maternity jeans. I don't feel like I'm wearing maternity pants at all!!! Also, I discovered some great dresses that aren't maternity but fit great and will work even after pregnancy. And the best part is I feel like I'm wearing PJs. Do yourself a favor and check out Sign Here. 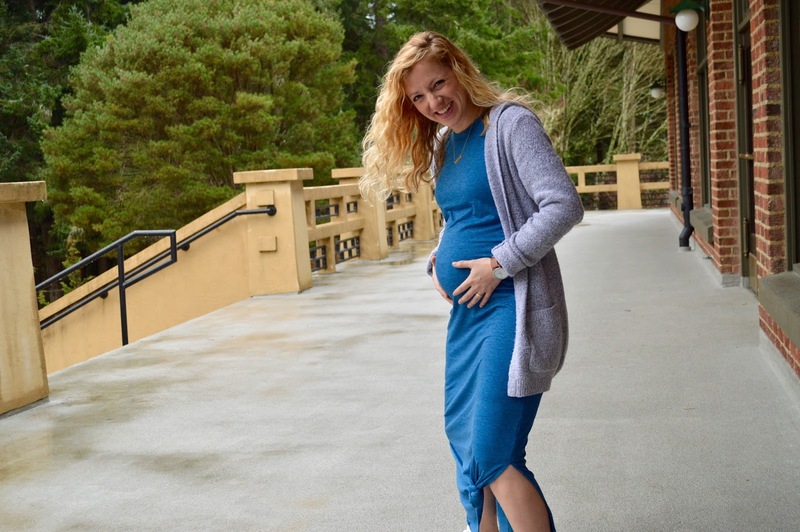 Favorite Moment: Last week Blake and I both saw my belly move like crazy last week. I love sharing these moments with him. I feel "Little Marty" (his nickname) all the time and I love it, but Blake gets so excited it makes me so happy! You look so cute! 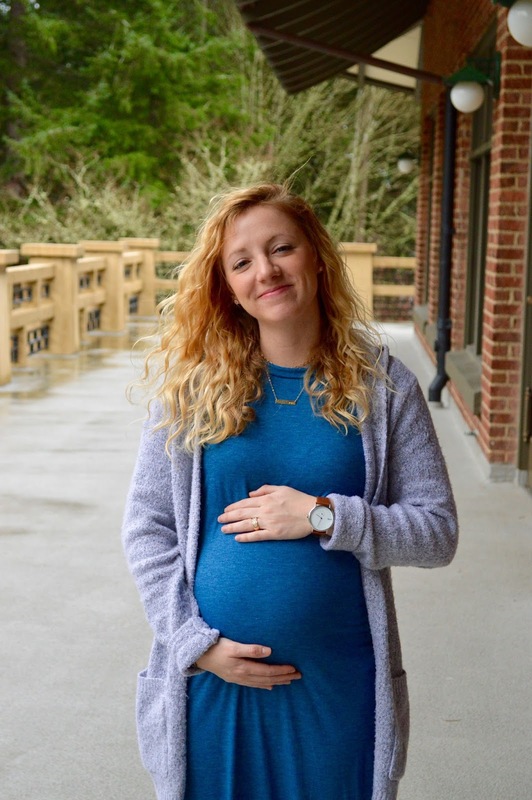 30 weeks is such a good milestone! Thank you!! I still can't believe I made it this far haha.